As Norway enjoys proper, snowy winters, the ordinary bike season is restricted to the summer. Which means that you miss several months on your bike – unless you start riding also in the winter. Many Norwegian bikers do, and it is great fun! But you need to be prepared. Here is your guide to winter riding in Norway! Regular exercise is good for you, they say. Winter in Norway is cold. Period. Even though you may find mild pockets here and there, you should always be prepared for temperatures down to at least -25. We have had periods with even colder weather, though. Winter is normally the months of December through February where I live, which is in the south-east. But further north and in the mountains, winter climate may set in earlier and endure longer. Do not gamble with regard to this! When riding a bike in the cold, you will also be exposed to a considerable wind chill effect. You MUST be properly prepared. 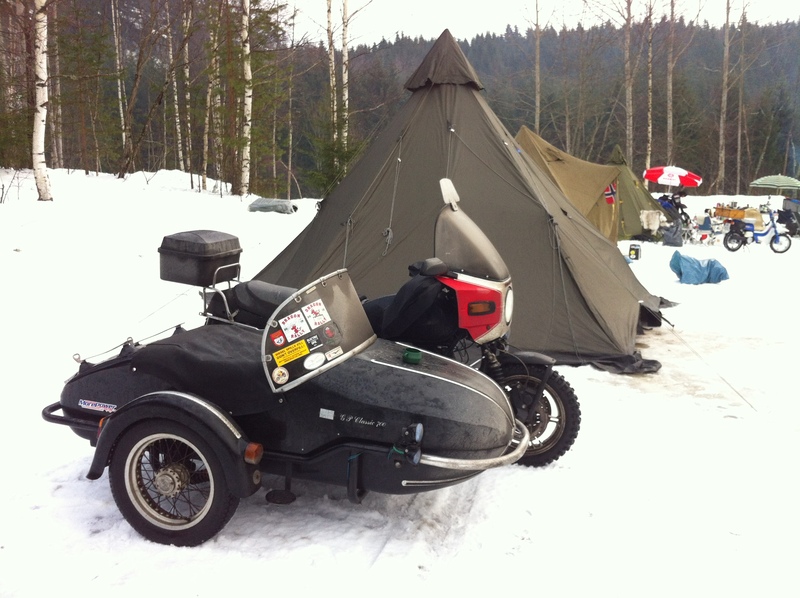 I prefer my sidecar rig for long haul in the winter, as I can get more gear with me. are snow and/or ice covered. If the temperature is low enough – below -5C – the friction on snow and/or ice covered roads is actually quite good. And the colder it gets, the better your tires will bite. The worst riding conditions is when the temperature is just over 0C, the ice cover gets a bit wet, and the roads gets extremely slippery. Also, if the temperature is just over 0C and it snows wet, heavy snow, it packs up your tires and again it becomes slippery. But there are remedies to counter that, at least to a certain degree, just read on. In any case: Road conditions during winter requires you to slow down, so make sure you set aside enough time to reach your destinations. Enduro-like bikes like this is popular for two wheeled winter riding. encountered foreigners on heavy Honda Pan Europeans with slick tires on the snowy mountains. Needless to say, that didn’t go very well. I think an important decision to make, though, is how much money you want to put out in the salt and grime of winter roads. I suggest to go cheap. Many riders prefer Urals, Jawa and other marques of Eastern European origin, as they are easy to maintain and cost very little to buy. A friend of mine from Yorkshire, Andy, has ridden his Honda C90 Cub all over Scandinavia in the depths of winter (-38C at one time) without it missing a beat. Others wants slightly more modern tools, and buy more expensive bikes which they then maintain rigorously. Basically I would first decide if I want to ride on two or three wheels, i.e. with a sidecar attached. Many of my winter riding friends prefer light enduro bikes, typically KTM, Husaberg, Husqvarna, Yamaha and Hondas in the range of 250-450 ccm, when they ride two wheels as they are light and easy to get proper winter tires to. Besides, riding in the winter is somewhat similar to riding on loose gravel. Baard, another very seasoned year round rider whom I know, swears to BMW F650GS or Sertao as his weapon of choice. I think the clue here is that it should be light enough for you to handle and to pick up with ease should you fall over – which you eventually will. Personally I have my Yamaha WR250R for quick winter blasts, and my 1985 Guzzi 850 T5 with a Watsonian Squire sidecar for touring duty, as I tend to bring a lot of stuff to make my winter camp comfortable. I prefer ACF50 to protect my winter bikes. 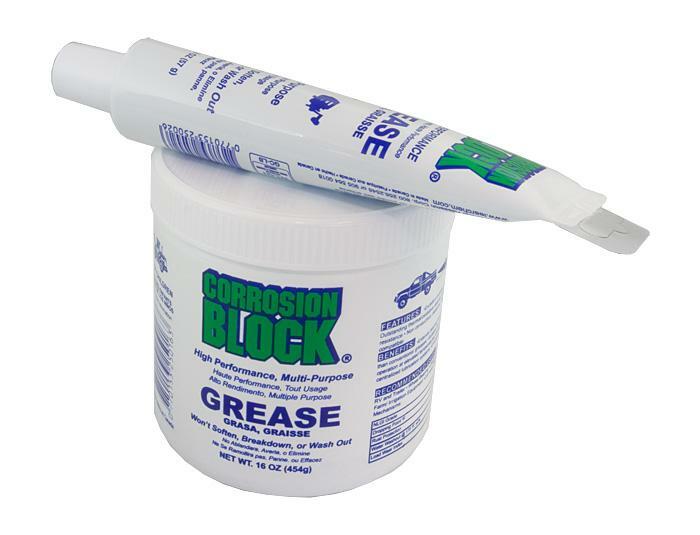 Corrosion block grease is good for wheel bearings and joints. bike down once every couple of winters. But DO NOT get any on the brake parts! It’s impossible to get rid of and will force you to buy new discs and pads. I wrap all brake parts in plastic and seals them before commencing the spray-down. A good wash-down of the bike once in a while is also good, of course, but I tend to do so only when the weather is milder as the bike otherwise will freeze over. Wheel bearings does also need protection from the grime. 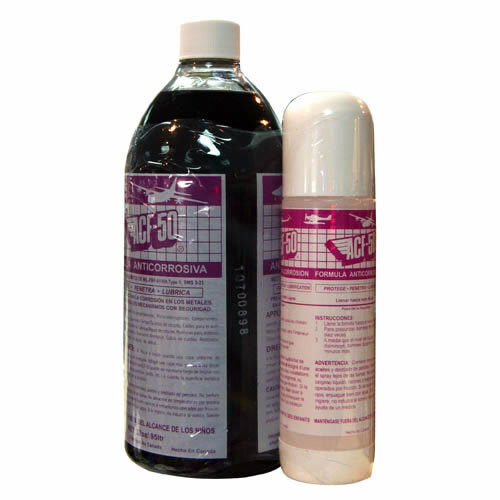 The manufacturers of ACF50 makes an anti-corrosion grease that is excellent for bearings, joints and other parts and places where you’d use ordinary grease. Mitas Army Special with studs are considered to be one of the best if you are on two wheels. that in any case. 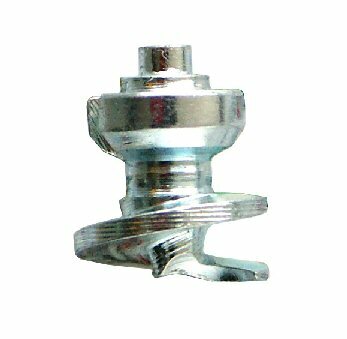 On my sidecar bike I run rear a standard 18″ semi-knobbly Bridgestone Trailwing where I have screwed in studs from Best Grip. It provides enough traction to move the whole rig in most conditions. In the front I run 16″ Cheng Shin which you can get delivered with studs in place. They are cheap but have proven to be remarkably good. They tend to last some 5-6000 kms before needing replacement – which is pretty good, considering the weight of the rig and amount of kms running on bare asphalt. On the sidecar I run a standard Hankook wheel which I have studded just because Norwegian law requires that either all nor none of the tires shall have studs. Studs like these from Best Grip can be screwed into your knobbly tire. They stick pretty good too. On two-wheelers there are many options, but knobblies are usually the way to go. The best ones are still tires which are purpose made for winter conditions. The rubber keeps soft even in temperatures well below zero. Heidenau makes winter tires, but the best of them all is probably the Mitas Army Special (former Trelleborg). I am aware that these may be difficult to find in countries where studs are illegal to use, but you can e.g. contact the Norwegian bike store Snellingen in Oslo to have a set ready for you when you get here, and let them help you with the fitting. A KTM 990 Adv rider from Spain did that: He rolled off the ferry in Oslo, where there’s usually bare roads, rode to the shop and fitted proper winter tires for his Krystall Rally mountain adventure. The jury’s still out with regard to tire pressure. Some say you should run standard pressure to increase ground pressure pr square cm to get more friction. 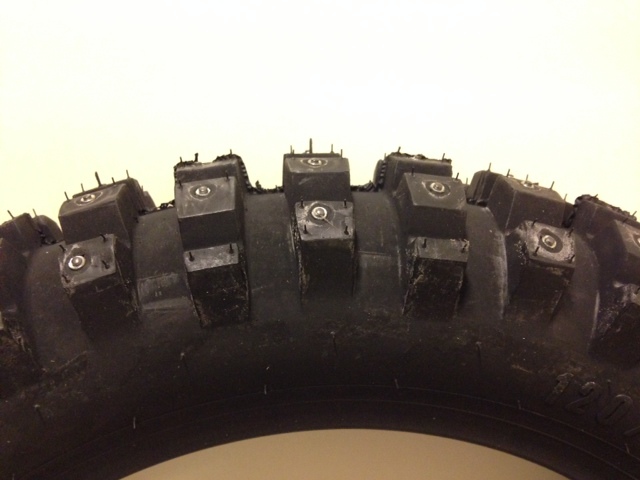 Others recommend to deflate a bit to get more tire to the ground to get more friction. On my two wheeler I run ca 1.7 bar/24 psi front & rear which I have found to be OK for my kind of riding. On my sidecar rig I run the recommended pressures. To minimize the wind chill effect, you should have some sort of wind screen on your bike and sidecar. In addition, your hands should be out of the cold. Bark busters deflect some of the wind, but proper handlebar mittens is the way to go. You can even go down on glove thickness with a proper set of mittens. Rule of thumb is three layers: A wind- and waterproof outer layer, an insulating middle layer, and wool or tech fabric inner layer directly near your skin. No cotton, as it retains rather than transports away moist and gets you cold. I ride with an old motorcycle jacket and trousers with proper protectors. If it starts raining (which it might, and which represents the worst of winter weathers), I have a full piece rain suit which I pull over. It has worked now for many years, so personally I stick to that combo. You might look like the Michelin man, but at least you’re warm – that’s what counts! Some use electrically heated clothing. Personally I do not trust that all electrics will work flawlessly under the conditions we’re talking about, so I do not use them. But again – many do. Oh, and should you get cold: Stop beside the road, push your bike a few hundred meters – and voila! Warm! Don’t get sweaty, though. It will make you freeze again. With regard to boots: Proper waterproof winter boots will do, but not too bulky ones as you still have to operate the gear lever and foot brake. 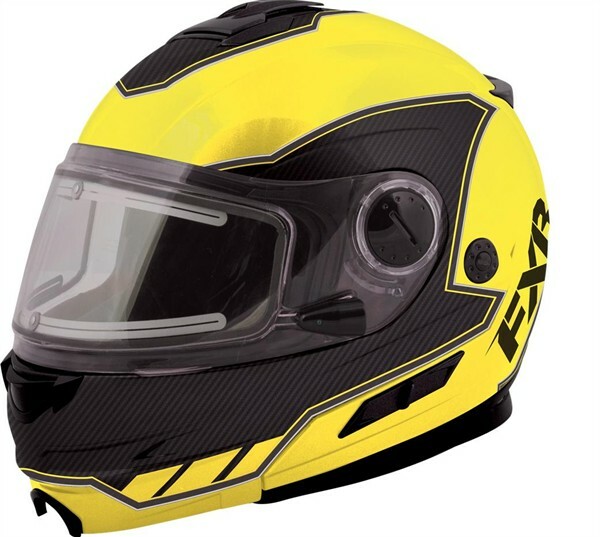 I am considering this FXR helmet with electric visor to replace my old battered lid. a must. You must protect your face from the cold, so a balaclava of some sort is highly recommended. I use a neopren one, which is totally wind proof and in addition insulates. Then I have bought a snowmobile helmet, which is road legal in the EU if it has ECE approval. The snowmobile helmet is purpose made for winter riding and does not mist up the inner visor. They usually comes with a breathing mask for really cold conditions as well. I am currently looking at a helmet with electrically heated visor, as I need to replace my old battered lid. Some make their own heated visors, and I will see if I can dig out the how-to guide on how to make one. Some also ride with cross helmets, but again – also with a wind proof face mask and anti-fog goggles. Lavvos are really the best option for serious winter camping. It’s quite possible to have comfortable nights in a proper tent even in temperatures where you normally wouldn’t even think of being outside at all. But it requires some proper gear. Firstly, your tent. The mainstay of Norwegian winter riders is the lavvo, a design ripped off the indigenous Sami people of the high north. It resembles a tipi, if you will. A modern lavvo is typically made of fire-resistant light materials, has a single pole construction, is equipped with a smoke vent in the top, and is easy to put up fast when you get the hang of it. There are numerous advantages to a lavvo: It packs relatively small for being so spacious. You can stand high and tall inside the tent. You can light a fire or an oven inside it for heating, and for general well-being. It’s easy to erect even in the snow. When properly secured, it can withstand a lot of wind. And finally, there is enough room to sleep several people if needed, even in the smaller ones. If you’re serious about winter riding, there is really only one option, in other words. You can buy them online. Make sure you get one with smoke vents, as they are also selling cheaper models without this feature. 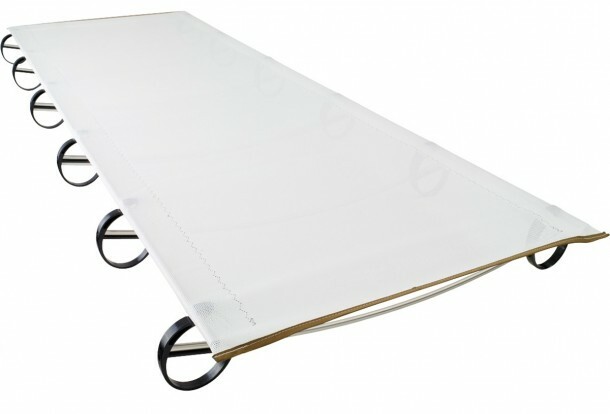 This Therm-A-Rest cot is compact, but a bit of a hassle to assemble. Expeds Downmat 9 is purpose made for winter conditions. sidecar, as they tend to be a wee bit bulky to bring along. I use two to make sure I cover my whole cot. 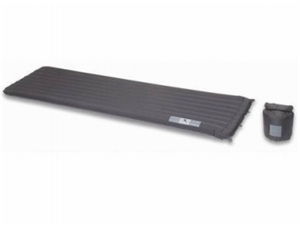 My compact alternative is the Exped Downmat 9, which is an air mattress filled with down to aid insulation. It is purpose made for winter conditions and you can put it directly on the snow in temps around -40 and still feel warm. It’s a bit costly, but it’s excellent and compact. You need to use the built-in hand pump to fill it, which is a bit awkward and takes a bit of time, but the result is worth it. Don’t overfill it – you don’t want to bounce on it when you lay down. Rather, you want it to cushion you. Make sure you have the repair kit with you. If you tear a hole in it and it won’t fill with air, it won’t insulate and you’ll freeze. Now – sleeping bags. The rule of thumb is that you can never get a too warm sleeping bag when you venture into the Norwegian winter nights. The higher rating, the better. My buddy Jon learned the hard way when he brought his +6C-rated sleeping bag to a Norwegian rally in October, despite warnings. It should be fine, he argued. Which it might have been in the UK, but when the temps dropped to -10C at night, even the reindeer skin couldn’t keep him from freezing. 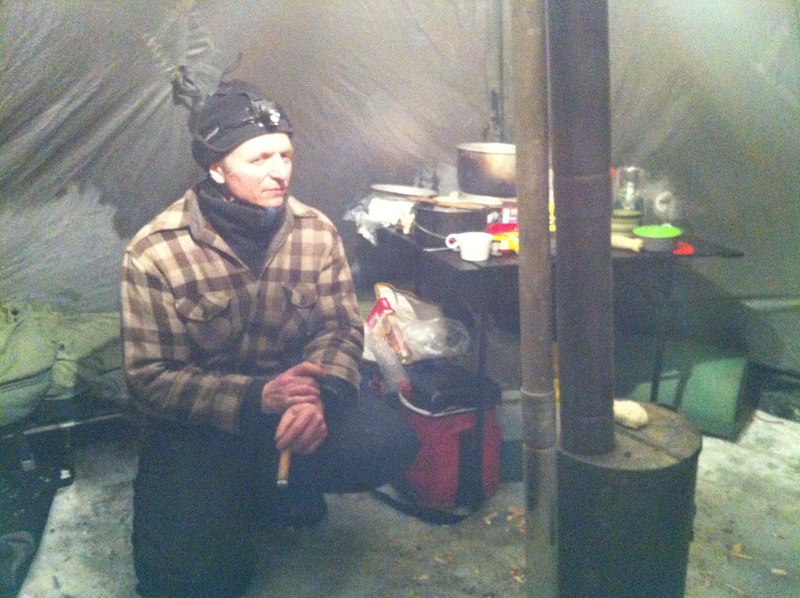 Today, Jon has a sleeping bag rated to -30C or thereabouts. Myself, I use a Helsport Raudfjorden, with an extreme lower temperature limit of -37C. It has not failed me yet, even though it has begun to get a bit worn, so a new one is close at hand. Down or fiber is of a lesser concern to me. Down is lighter, but more expensive and lose its insulation properties if it gets wet. Fiber is cheaper and bulkier, but still warms you if it gets wet. My current sleeping bag is a mix of these. 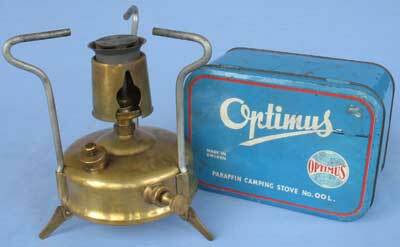 I have one of these, a 1960s model Optimus 00 kerosene stove. mixture” may not work. And you do not want to take any chances with regard to heating when you’re out in the winter. The best way, which again all Norwegian winter riders swear by, is the good, old kerosene burner. Most love the older ones, the rarer the better, but newer ones are of course fine. The point is that these stoves will light up in practically any temperature. They need a bit of tinkering to get going, but that’s part of the experience and is really no hassle. Spirit burners tend to be a bit weak in the output, so most don’t use them. I have no experience with petrol burners, so I cannot comment on them. See how nice it can be inside an oven-heated lavvo? Knut even enjoys his cigar. but not too bad to have, especially on longer trips out in the snow. Take care with regard to how you assemble the smoke pipe, as it may melt the tent canvas if not properly put up (don’t ask me how I know this…). Firewood can be bought at petrol stations in Norway in the winter. Or you can find you own dead trees out in the woods. To camp outside in the Norwegian winter without fire heating will turn the mood sour after a while, so investing in a good fireplace is highly recommended. Inside a proper lavvo with all the necessary specs, and under sober supervision, it is safe to use ovens in the lavvo. – Make sure you take a leak whenever you need to, as the body uses energy to warm the urine rather than you. – Eat! It fires up your internal furnace. Pasta is particularly well suited. – Drink hot drinks, but not coffee. Hot chocolate is the way to go. – To light a fire, Andy from Yorkshire taught me to make a snow ball, soak it in petrol (taking care not to spill it on your hands) and put it in the midst of your firewood. When you light it, it’ll burn slowly for a minute or so, enough to get your fire started. – Clean your tires with some sort of tire cleaner. They’ll bite better and get you further. – If needed, wrap a piece of rope around your rear tire to gain better traction. Not for long distances, though, but it may get you out of a tight spot. – Keep a small lid filled with windscreen cleaner liquid and a sponge handy to wash the salty grime off your visor while on the move. The liquid won’t freeze as it is made to withstand sub-zero temperatures. 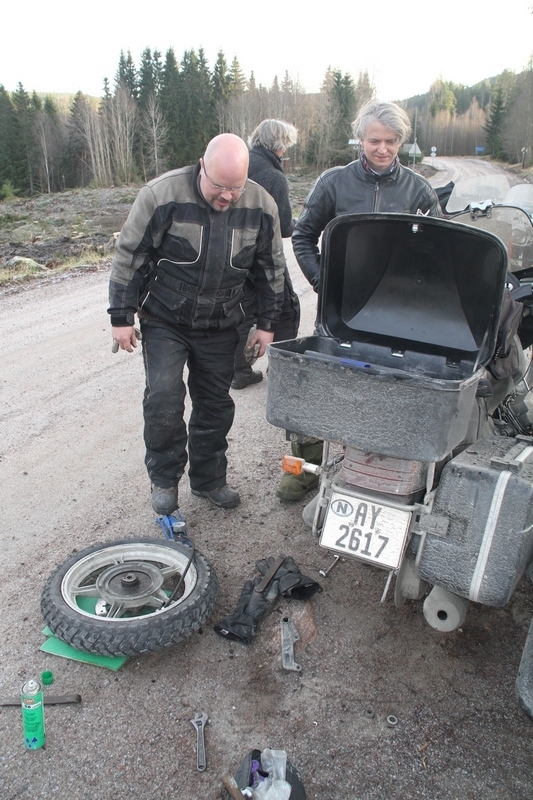 – Bring spare tubes for your tires, spark plugs, clutch and gas wires, fuses, some tools et cetera – just in case. 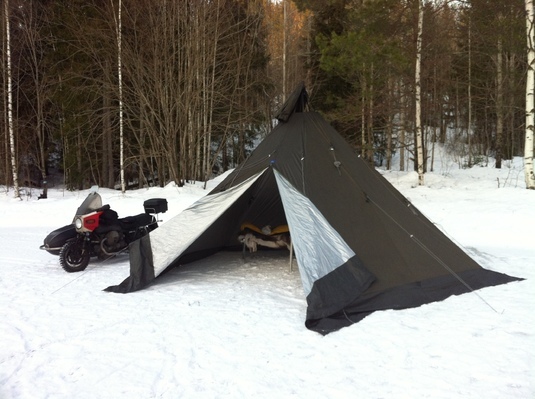 – You might want to take the bike battery into the tent at night to keep it warm. Batteries lose a lot of effect in the cold, so make sure you keep it in tip-top shape. The last few kms before pitching your tent you can turn off all lights on your bike to let our battery charge more. I use a car battery in my sidecar Guzzi. – Chemical hand and/or foot heaters are useful, so buy a stack. I have used them to heat a battery, even. So, hey-ho! Let’s go! There are several winter rallies in Norway from October throughout March, so come on over! which month would you say the temperature drops to make the road conditions start to become icy ? ie may be late October through to when …Feb / March ? Hi! Depends where in the country you are, but in general I would say mid Oct to April in the south-east. May, or even June, in the mountains. Amzing tips! thax for the guide! Cheers from Greece! Hello I have heard about ‘The Wood gathers’ motorcycle rally in October 2017, do you have any details of this please. Sure. It’s always the first full weekend after the first winter day, which is 14 Oct. This year, this means that the Wood Gatherer will be on the weekend of 20-22 Oct. 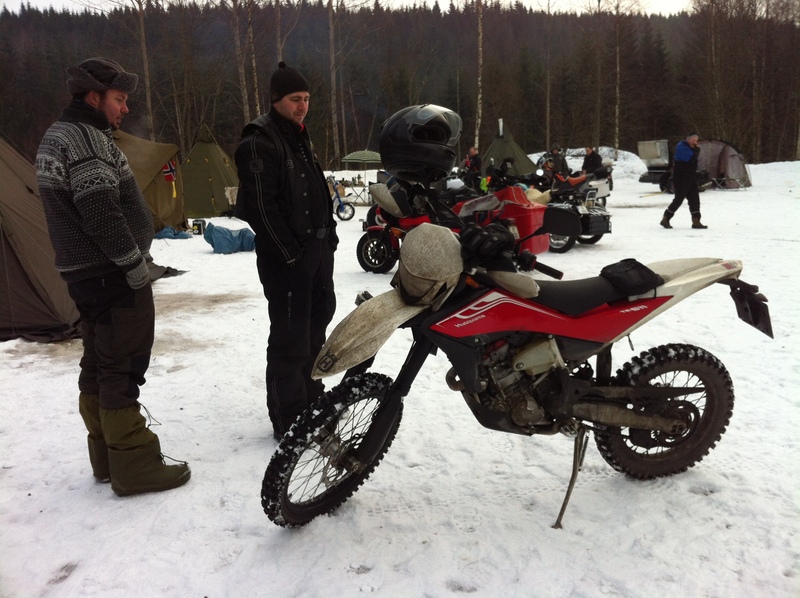 It is at the same place as the Primus Winter Rally – Fjorda in Bjoneroa, some 1.5 – 2 hrs ride from Oslo. Bring all you need – there are no amenities at the rally. But – that’s also what makes it so special 🙂 Let me know if you need further info. Thank you Hans, will I see you there? Thank you for all these tips I ride all year in the UK and we recently had a period of -12° the visor cleaning tip is great I am always destroying visors with the salt spray hope to join you in the future. Even I learned my lesson after being three times to the Primus Treffet. I have found your blog very interesting and informative ! I might see you there in 2019 ! Cheers Frank! Maybe we’ll see each other in a couple of weeks – welcome!